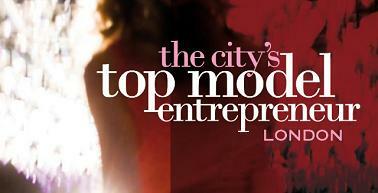 The City's Top Model Entrepreneur is a unique competition dedicated to beauty and business acumen. There are two elements to the competition; the finalists will participate in a catwalk show, modeling the collections of leading London designers and will be judged on their looks, catwalk and personality by a panel of top celebrities and fashion experts. The second part of the competition is where the finalists will pitch a business idea gaining valuable publicity to a panel of leading business entrepreneurs who will judge the finalists on their business acumen, professionalism and confidence. This is a fantastic opportunity for all aspiring models and for anyone wanting to start their own business or showcase a business idea. This unique fusion of business and fashion is your chance to grace the pages of The City magazine, appear on TV and take to the catwalk, gaining respect, recognition and top prizes. Contestants will battle it out for the title of The City's Top Model entrepreneur which will be filmed and attended by the national media including newspapers, magazines, radio and other leading TV companies. Prizes on offer include Personal mentoring from Dragons' Den's Richard Farleigh, £10,000 worth of private business coaching, £5000 worth of essential office supplies and a photographic campaign in The City magazine. For more info please see prizes page So, if you look like a model and think like an entrepreneur we are offering you a once in a lifetime opportunity to enter this prestigious competition. The grand final will take place in London on April 29th 2010 and is set to be a red carpet event with well known celebrities and national media in attendance and an aftershow party by Fashion TV. Short listing before the event - Based on the Finalists and photographs submitted, applicants will be short listed and invited to attend an interview in London where they will be asked about their business idea and have professional photographs taken. At the event - All finalists will take part in the fashion shows. The judges will short list the contestants to 12 finalists who will each give a presentation on their business idea as well as answering questions from the judges. The judges will then shortlist to three finalists who will give an additional presentation on why they think they should be "The City's Top Model Entrepreneur."